Do I have time for another? Yeah, there’s still 40 minutes left. 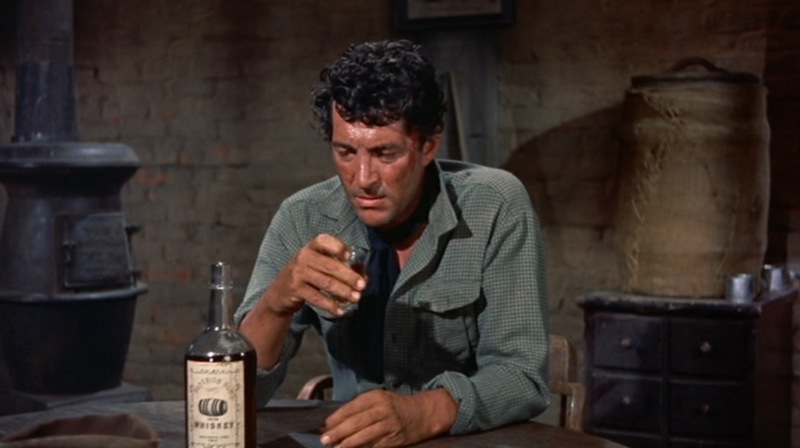 I watched Howard Hawks’s 1959 western Rio Bravo for the first time yesterday. Somehow I missed that one when I was watching so many of the Duke’s films in my high school and college years. It was a thoroughly entertaining film, meaning that there was never a dull scene in the picture. And yet, I can’t help thinking that it could have been a lot better by being much leaner. The film clocks in at 2 hours and 21 minutes. That’s a pretty remarkable length for a movie whose primary plot can be summed up as: a sheriff jails a bad guy and then must guard him for several days against his brother’s forces seeking to break him free. Of course, there are subplots involving the Drunk (Dean Martin), the Gunslinging Kid (Ricky Nelson), and the Disreputable Lady With a Heart of Gold (Angie Dickinson), but none of these amount to a justification for a runtime over 2 hours. 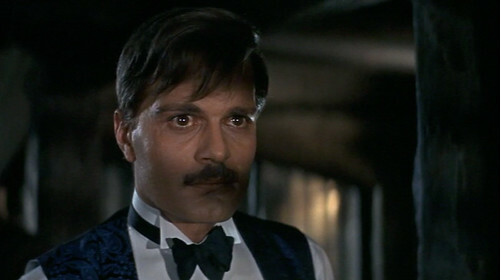 I am really curious how audiences of the time enjoyed a movie like this, versus how it might be perceived today. Although I wasn’t there to witness it, apparently it was common for people to come in to movies throughout the showing, and then stay through the next showing until they had seen it all, leaving when they got to “This is where I came in.” Hitchcock’s Psycho (1960) famously played against that notion as part of its sensationalistic ad campaign. Don’t be late to this film. Or I’ll tell Mother. But I think of Rio Bravo as part of a self-indulgent streak in Hollywood films around the late 50s – early 60s. To me, the poster-movie (as opposed to movie poster) for this trend has got to be Ben-Hur, which is also on my short list of most overrated films. Ben-Hur is essentially an epically long movie trying to justify the creation of one fantastic sequence (the chariot race). In 1960, the top grossing films in the US included 3 bloated epics–Spartacus, Exodus (which I have not seen), and The Alamo–plus Swiss Family Robinson, which could arguably be included in that category. Rounding out the top 5 was Psycho, a movie far leaner at 109 minutes than Hitchcock’s previous feature, 1959’s North by Northwest (2 hours and 16 minutes). I’m not against long movies by any means, just because they are long. Some of my favorite films are in the over three-hour range. I wouldn’t lose a minute of The Lord of the Rings: The Fellowship of the Ring (3 hrs. 48 min. in the theatrical cut), or Kenneth Branagh’s Hamlet (4 hrs. 20 min.). But I do contend that a move has to have a sort of justification for crossing the 2 hour mark, and the more it nears 3 hours, the more justification it needs. There has to be something exceptional about the plot, something about the characters, something to justify not calling the editor back in for another pass. Peter Jackson, with his most recent trilogy, (The Hobbit: The Desecration of Tolkien) has become a living filmmaking cliche for bloat. But anyone who examined his 2005 King Kong remake should have seen this coming. Encouraged by the success, both financial and critical, of the Lord of the Rings films, he took exactly the wrong lessons to heart. The 1933 King Kong was a thrilling fable that lasted for 1 hour and 45 minutes, give or take. Jackson took this source material and gave it the same treatment that would doom his approach to the children’s fable, The Hobbit. He added in an excruciating array of sequences that bloated his take on the giant ape to almost double the length, at 3 hours and 21 minutes. Of course, there is an extended director’s cut available on disc. Stravinsky attributed to Da VInci as having stated that “strength is born of constraint, and dies in freedom.” Like a house of cards, sometimes the more you stack up, the more fragile and vulnerable the structure is. I love a good, long movie, but there is much to be said for saying less. But perhaps storytelling economy was at odds with the economy of the box office in the day. Making bloated epics certainly made for box office success, at least for a time. Posted on June 17, 2015 June 10, 2016 by Joshua Wilson	This entry was tagged Alfred Hitchcock, Howard Hawks, Long Movies, Rio Bravo. Bookmark the permalink. ← Der ursprüngliche Titel ist in Französisch. Interesting detail on the revolving door policy at the theater! There is not a single wasted minute in Rio Bravo! The Ricky Nelson and Dean Martin duet is so amazing that it actually makes time seem to go in reverse, so the film feels much brisker. Seriously, though, don’t you think there’s a difference between the *pacing* of older films, which modern (more impatient) audiences *perceive* as taking too much time, and *narrative* issues surrounding the more modern films you mention, which add filler and effects at the expense of the formal clarity? And I really do love every minute of Rio Bravo. Hi Richard, thanks for your thoughts. Actually, as I was writing this post, I was reminded of one of my favorite authors, Richard Powers. Some of his earlier novels are incredibly long, and would really benefit from some editing, but if you pressed me I couldn’t give an example of where you could possibly cut. It’s all beautiful. In many ways, I thought the same about Rio Bravo (though this doesn’t seem to come across really clearly as I read back over the blog post). As I did say, there wasn’t a scene that wasn’t entertaining, so I suppose that can serve as justification enough. Regarding your other question, I do think there’s a valuable critical distinction to be made between slow or deliberately paced films, and films that are overstuffed even at their lengthy runtime. But I don’t think that the divide is between older and newer movies. Rio Bravo didn’t seem slow paced to me, just long.